'Tis October, a month that is redolent with all things scary. And what topic could be scarier than to discuss... the Joker's pubic hair? 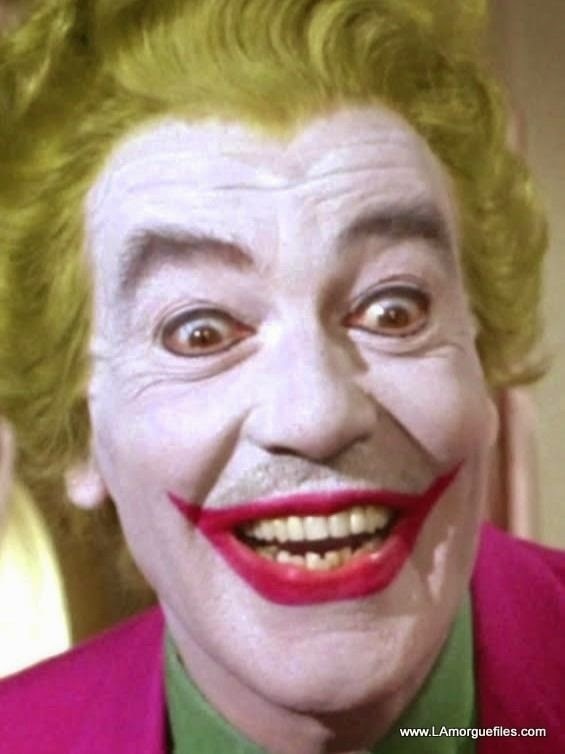 When Cesar Romero was hired to play the Joker in the 1960's series 'Batman', he refused to shave off his trademark "Latin Lover" mustache. And so the producers had no other option but to cover it over with clown white make-up. Eagle-eyed viewers (I was not among them) could still see it however, especially in the close-ups. But the medium was still considered a transient visual - aired today, gone tomorrow - that I'm sure the producers weren't too concerned about it. They had no idea the Future would bring endless syndication, home recording devices, DVD sales, and video-streaming. Sooner or later everybody was going to see the Joker's mustache and realize that it was painted over. Victor Gervais was a high-ranking agent in the THRUSH organization whose career came undone when he became obsessed with an U.N.C.L.E. agent in training named Mandy Stephenson. Gervais later escaped and hid in plain sight under an alias he had already established - that of statuary manufacturer Kinsey Krispin. As Krispin, Gervais was also working as a double agent - even though it was for KAOS, another organization of baddies, this would appear as a betrayal by his THRUSH superiors. Gervais/Krispin quickly escaped the inefficient CONTROL agents in charge of his incarceration and returned to his factory in hopes to put together enough money for his getaway. But THRUSH agents were there waiting for him and they tried to kill him by drowning him in a vat full of the chalky white liquid used to make his statues. Gervais ingested some of it and it metamorphed his cellular structure so that he became the spectral clown figure he is best known as today. However, one would assume that the transformation also affected his hair, which on his head was a brilliant green in color. And yet there's that mustache. Well, let's grab this by the short hairs and address it: ALL of the Joker's hair turned white that day, just like his mustache. And that includes the hair on top of his head. However, he dyed that green to enhance the image of the Joker which he was trying to convey. Simple splainin. And not as detailed as some of you probably feared! One of my favorite shots of a Zanti Misfit...the Regent, I think....one of the reasons I love it so much is you can see the heads of the hat pins used to secure the model to the table top sets during stop-motion...see the little white dots on the top of the Zanti's feet? Those are the hat pin heads. Why they couldn't use (or get) hat pins with black heads is beyond me. I suggested that we could make it work instead of leaving it as a Zonk by suggesting that the pin heads could be growths on the feet of the Zanti. Or maybe markings. Or they could even be jewelry pieces. Toby, that would be a fun idea, unfortunately they "popped' on and off as the creature walked...and were visible only when the Zanti had his little feet on the surface of the animating table. He had good eyes to spot it in the first place and may have been watching it in slow-mo in order to catch the details. But I'll stick with my idea of it being jewelry; that it's the only itlem worn by the Zantis. I wonder if he got it at Jared's.....? As much as he loves the show, I wonder if he's ever seen the original episode......? O'BSERVATIONS - "HOW TO GET AWAY WITH MURDER"
With Shonda Rhimes' third series on ABC (Technically, she's only producing this one. ), 'How To Get Away With Murder' returns to Earth Prime-Time to join 'Gray's Anatomy', after 'Scandal' took us to an alternate TV dimension with its President Grant. The only proof of this so far is that one of the students in Professor Annalise Keating's class spent the summer workng for John Roberts, Chief Justice of the United States Supreme Court. 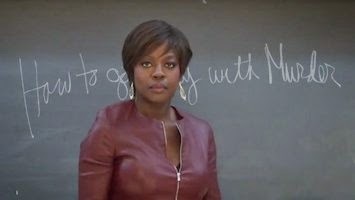 With the pilot episode, it felt more like Viola Davis as Keating was a supporting player to one of her new students, Wes Gibbons. But he was just being used as the audience's entry into this world of law school and the focus should be more on Ms. Davis with the second week. The temptation was there to make the claim that Wes was actually a transfer from the Cineverse and that he actually was Dean Thomas, a former student of Hogwart's school of magic from the "Harry Potter" movies. But that would have been not only confusing, but too unsupported by anything more than the fact that Alfred Enoch plays both roles. At best, maybe I could have claimed that Wes Gibbons is Toobworld's Dean Thomas, but that he was given up for adoption after his wizard father was killed by Death-Eaters - hence, the name change. However, I try to adhere to the rule of Occam's Razor and all of that would have been more complicated than this character needs. O'Bviously we're not going to see magic... in this show, at least. Likewise, I can't claim Enoch is playing Grenadier Bainbridge seen in my favorite 'Sherlock' episode, "The Sign Of Three." It's still my shaky contention that 'Sherlock' takes place in Limbo and that we're seeing the adventures of Sherlock Holmes' soul (looking nothing like his corporeal form) as he mentors a new Doctor Watson through this world of the after-life. But to be both Bainbridge and Gibbons, Wes Gibbons would have to be already dead. I know what I just said about complications. Shut up. 'How To Get Away With Murder' takes place in Philadelphia. If only 'Bodies Of Evidence' was still on the air (Stupid move, ABC! ), the Alphabet Network could have had a November Sweeps crossover that might have benefitted both series. The major contribution to the expansion of the main TV universe from this show will be Middleton University and its law school. At the pep rally bonfire in the opening scenes, the school's football coach incites the students into a frenzy by citing how their team is going to beat the players from Ohio. Sure, this could be the televersion of a college from the real world, but where's the sport in that? Unfortunately, the only pozz'bility I've found so far would be 'Blue Mountain State' but that's still nebulous as to where the school was actually located. No matter. The info will always be there, just waiting for an Ohio university to call its own. Fallstead can only be found in Toobworld, and only in the anthology episode "Miller's Millions"*. 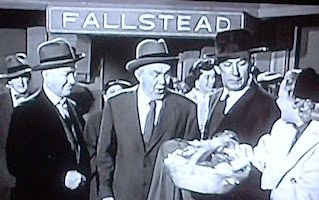 I've Googled the name and all that comes up are references to people with the last name of Fallstead. As a location it doesn't exist in the real world. The state is never mentioned, so where might Fallstead be found on the map of TV America? I'm leaning toward the Western Massachusetts area, free of that "pahk yer cah in Hahvahd Yahd" accent from the Bahstin area. "Fallstead, Massachusetts" just looks and sounds right. 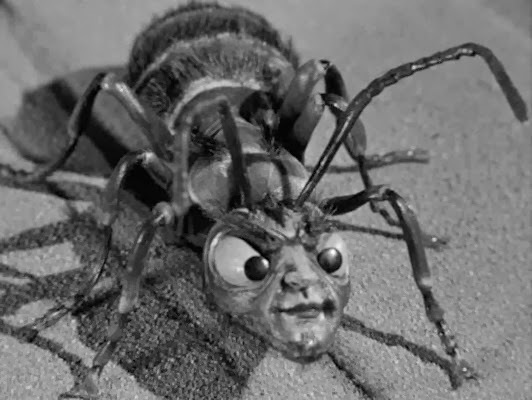 TWICE-TOLD TALES - "MILLER'S MILLIONS"
First off, the anthology series is a dinosaur, a relic of TV's first Golden Age when it was a haven for writers. 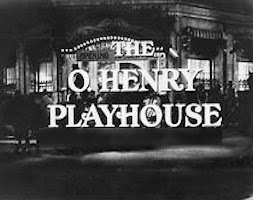 And the sponsor held sway back then, even getting their names into the titles of the shows. 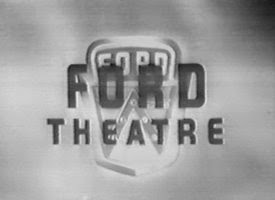 I wouldn't be surprised if the Ford Motor Company was the major sponsor of 'The O. Henry Playhouse' as well. 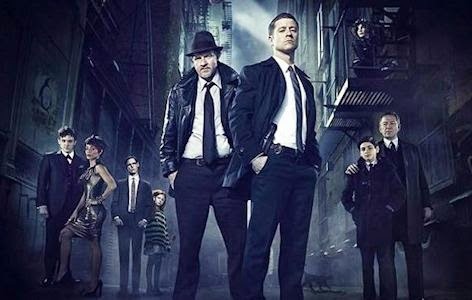 A lot of shows that have made/will make their debut this year need to be shunted off to alternate TV dimensions in order to keep Earth Prime-Time as Zonk-free as pozz'ble: 'The Strain', 'Helix', 'Madam Secretary', 'The Leftovers'..... And 'Gotham' can be added to that list. The Toobworld Dynamic is a visual universe instead of a conceptual one as is the case with the Wold Newton Universe. Portrayals of pulp fiction characters in that crossover universe can be blended together despite the changes in appearance for many of the characters because in the end, it is how you perceive them in your mind that matters. But for Toobworld, it has to be what is up there on the screen. One of the rules for the Toobworld Dynamic - albeit not always enforced - is "First come, first served." And that means the 1966 'Batman' TV series, no matter how campy it may have been, is the official representation of the Caped Crusader in Earth Prime-Time. As dark as this version of the Batman legend looks to be, I think Evil Toobworld might be a better fit for it than Pre-Toobworld. But 'Birds Of Prey', which takes place in the near future after that world's Batman has been eliminated from the scene, could also lay claim to that dimension. As it stands now, I think the most logical TV dimension for this show would be the most O'Bvious - Comic Book Toobworld, home of 'Lois & Clark', the new 'Flash' (as well as its connected episodes from 'Arrow'), and the ill-fated 'Wonder Woman' pilot from David E. Kelley. And it even starred Adam West as Batman, which we know from his appearance as a member of the League of Themselves on 'King Of Queens'! 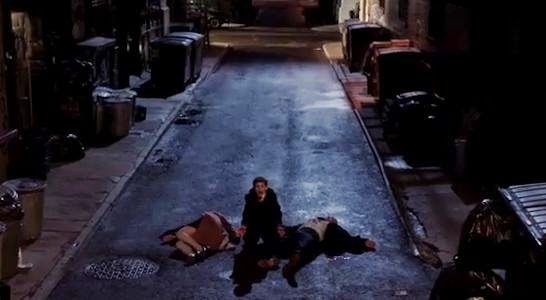 None of that could happen if 'Gotham' took place in Toobworld. With the original 'Batman', we can find splainins for any mention of the Dynamic Duo, his enemies, Gotham City, or the Batcave. Forty plus years on, that same Bat-Time heals all Zonks.